Be the first to share your favorite memory, photo or story of Annie Louise "Pat". This memorial page is dedicated for family, friends and future generations to celebrate the life of their loved one. Durham: Annie Louise “Pat” Davis Tilley, 94, died Friday, November 16, 2018, at her home in Durham. She was born in Person Co, the daughter of the late Thomas Boone Davis and Annie Louise McCormick Davis. She was preceded in death by her husband, Tyree Gentry Tilley. Mrs. Tilley is survived by her sister, Hazelene Sharp of Chattanooga, TN; sons, James Charles Gurley and wife Sherry, Marshall Lyle Gurley and wife Donna; grandchildren, Lyle Gurley and wife Margie, Jimmy Gurley and wife Shelley, Michael Gurley and wife Tracey, Heather Gaster and husband Preston; 6 great grandchildren; and 1 great great grandchild. A funeral service will be held Tuesday at 2:00pm, at Clements funeral home Chapel in Durham with Dr. Clay Waters officiating. Burial will follow at Woodlawn Memorial Park. The family will receive friends prior to the service from 12:00 – 2:00pm at Clements Funeral Home in Durham. In lieu of flowers, donations may be made to Allensville United Methodist Women, c/o Bertha Gentry Crews, 1352 Gentry Ridge Rd. Roxboro, NC 27574 and the Durham Rescue Mission, 507 E. Know St, Durham, NC, 27701. 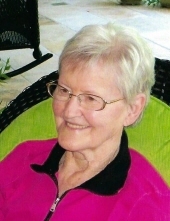 To send flowers or a remembrance gift to the family of Annie Louise "Pat" Davis Tilley, please visit our Tribute Store. "Email Address" would like to share the life celebration of Annie Louise "Pat" Davis Tilley. Click on the "link" to go to share a favorite memory or leave a condolence message for the family. memory of Annie Louise "Pat"